The rocket's payload is the first of three planned satellites to fill coverage gaps from U.S. Global Positioning System satellites caused by signal blockage from mountains and skyscrapers. 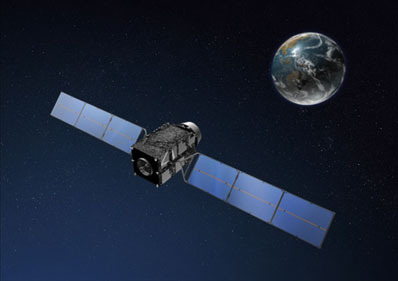 Developed by the Japan Aerospace Exploration Agency and four government ministries, the Quasi-Zenith Satellite System is aimed at overcoming ground interference by launching more navigation satellites strategically positioned high in the sky above Asia. The line-of-sight navigation signals from GPS satellites can be interrupted in rural hamlets and skyscraper-filled cities like Tokyo, where users occasionally lack sufficient data to determine their position, elevation and time. JAXA says a constellation of three QZSS spacecraft would make three-dimensional navigation coverage available 99.8 percent of the time, an improvement over the estimated 90 percent availability with GPS satellites today. Four GPS satellites must appear in the sky at one time to triangulate a user's 3D position and time, but buildings and mountains can block signals from spacecraft close to the horizon. The first QZSS navigation craft launched Saturday on an H-2A rocket. Its nickname is Michibiki, which means "guiding" or "showing the way" in Japanese. Michibiki is demonstrating the system's navigation instruments and proving the satellite works before Japan commits to launching the other two spacecraft. The 17-story launcher lifted off at 1117 GMT (7:17 a.m. EDT) from Launch Pad No. 1 at the Yoshinobu launch complex, a shoreline facility at the Tanegashima Space Center off the coast of Kyushu, the southernmost of Japan's main islands. With twin 49-foot-long solid rocket boosters giving the rocket an extra burst of energy, the H-2A illuminated a mostly clear evening sky over Tanegashima, where it was 8:17 p.m. Saturday local time. The boosters burned up their solid propellant 97 seconds after liftoff and jettisoned back into the Pacific Ocean 10 seconds later, leaving the rocket's single hydrogen-fueled main engine to fire for about five more minutes. The rocket's nose cone split open and fell from the vehicle as planned at T+plus 4 minutes and 10 seconds. The shroud was no longer needed as the rocket reached an altitude of 93 miles. Flying southeast over the Pacific Ocean, the launcher's first stage finished its work at T+6 minutes and 36 seconds, giving way to a smaller second stage engine. The upper stage fired twice, first to place itself in a low-altitude parking orbit, then to inject Michibiki on a higher path that will eventually park the spacecraft more than 20,000 miles above Earth. The launch vehicle deployed Michibiki at 1145 GMT (7:45 a.m. EDT) as it flew south of Hawaii. 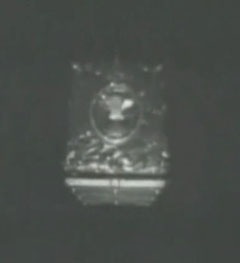 A video camera mounted on the rocket's second stage captured live footage of the nearly 9,000-pound spacecraft sailing away. JAXA says Michibiki will reach its final orbit in about two weeks. It will be three months before the satellite finishes commissioning tests and can begin its navigation demos. Michibiki will circle the Earth at a 45-degree angle to the equator. Its orbital high point will be more than 24,000 miles over the northern hemisphere and its lowest altitude will be 20,500 miles, according to JAXA. Projected against Earth's surface, Michibiki's ground track will chart an asymmetric figure-eight pattern stretching from Japan to Australia as it alternates north and south of the equator. Michibiki will be near-zenith, or almost straight up, in the Japanese sky for about eight hours each day. If launched, the two follow-on satellites would permit continuous coverage of Japan. 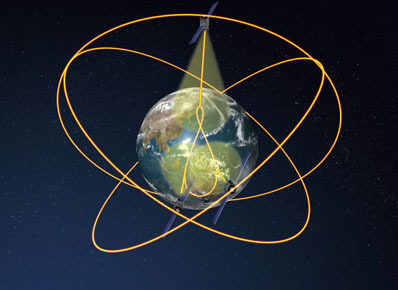 The GPS constellation, operated by the U.S. Air Force, flies 11,000 miles above Earth. Although there are 30 operational GPS spacecraft, only a small fraction of the fleet is visible from a single point on Earth at one time. To illustrate GPS shortfalls in Japan, the QZSS project manager points out that full navigation service is not always guaranteed in the heart of the world's largest metropolis. Three-dimensional positioning information is available less than half the time in some streets and alleys in Tokyo's Ginza ward, according to Koji Terada, QZSS project manager. Terada says the services will be available in Ginza more than 90 percent of the time with the launch of a single QZSS spacecraft. Built by Mitsubishi Electric Corp., Michibiki will broadcast four L-band navigation signals compatible with GPS transmissions, but JAXA officials say users will need special receivers to take advantage of its augmented navigation capabilities. If subsequent QZSS satellites are cleared for launch, engineers could develop standardized receivers for car and cell phone navigation systems.